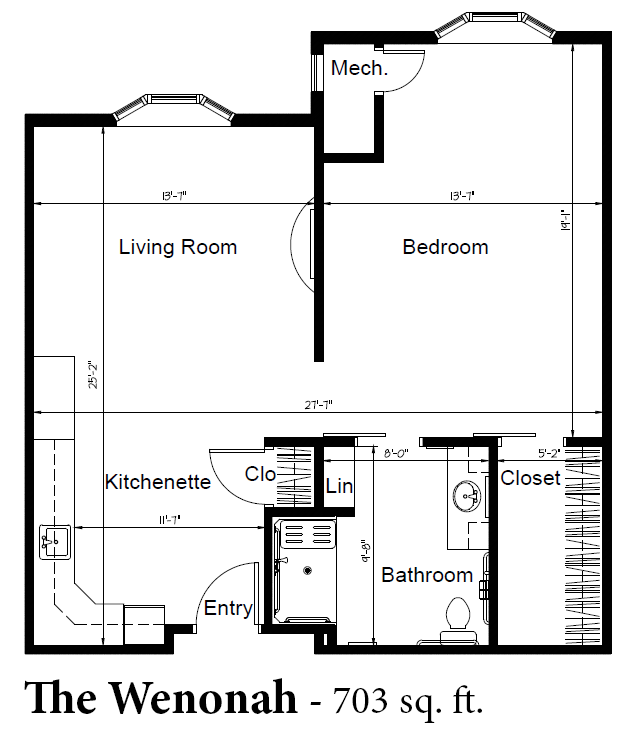 The Wenonah is an “All Inclusive” 703 Sq. ft. One bedroom apartment with an open floor-plan, extra large living spaces, bedroom with large walk-in closet, modern kitchenette, and beautiful spacious bathroom. Bay windows in the living room and bedroom take advantage of natural lighting creating a space that is, bright, cheery and beautiful! This model also comes in a courtyard adjacent option with walk-out patio. Available in both our Assisted Living and Assisted Living Plus options.